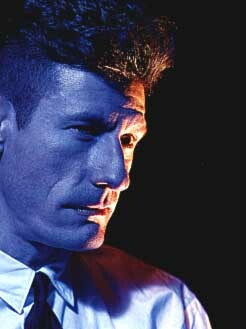 The following song was written by the American songwriter, Lyle Lovett. (pictured left) It is in the country music style, and has many examples of non-standard English. Non-standard English can contain slang or grammar that you would not find in formal or standard English. The use of ain’t ( = is not), and the use of them ( = those) in the first line of the chorus, and in the first line of verse 3 are examples of non-standard English. Now listen to the song (you may need to listen several times), and try and fill in the missing words. The numbers in brackets (5) tell you how many letters there are in the missing word. Sentence: I hope you _____ (5) the song. Try it! Send me your answers in email, or in a voice file if you can. Listening Classes: send me a voice file (Real Audio or Pure Voice) telling me what you think. Reading Classes: write a paragraph of at least 5 lines saying what you think.